Model 1956/57 mack c-49 dt (chicago transit authority 7200-7299 series) - everglades green/croydon cream livery. 1956/57 Mack C-49 DT (Chicago Transit Authority 7200-7299 series) - Everglades Green/Croydon Cream livery. 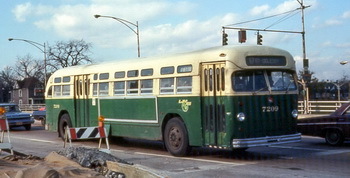 Chicago Transit Authority ordered 100 propane-powered Mack C-49 buses which were delivered between December 1956 and April 1957. Coaches of 7200-7249 series went to 69th Street and 7250-7299 series coaches were assigned to 77th Street to convert the last CTA streetcar line 22A WENTWORTH in June 1958. 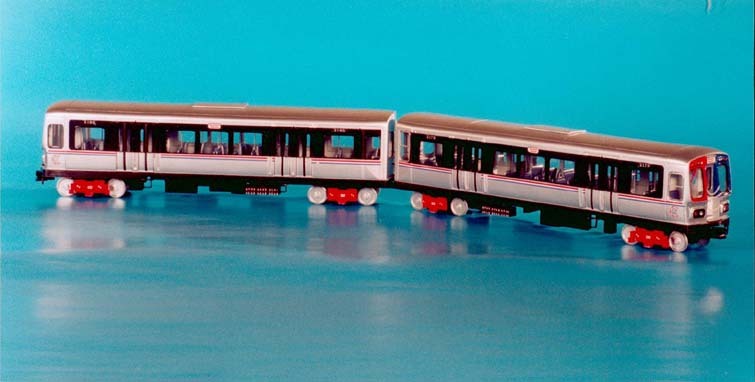 Macks served Chicago until 1972 when they were withdrawn from service. [This special Custom paint order model have all features of the Chicago Mack C-49 but use the slighlty shorter California version (274 1/2' wheelbase) body as a base]. 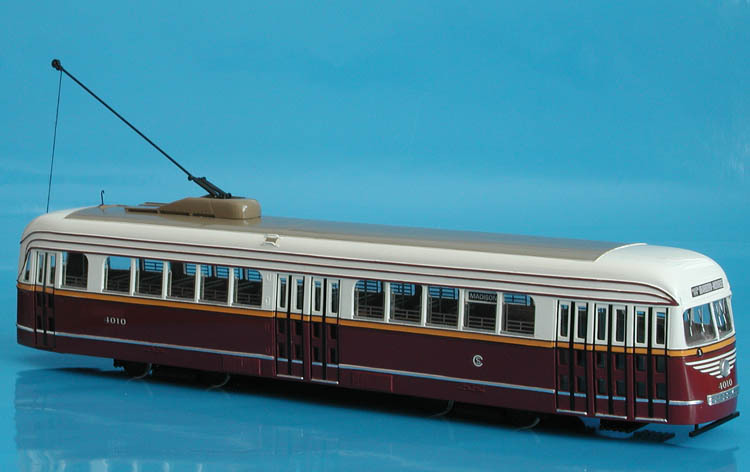 1936 Chicago Surface Lines St. Louis Car Co. PCC 4010 - in 1945 Experimental livery. 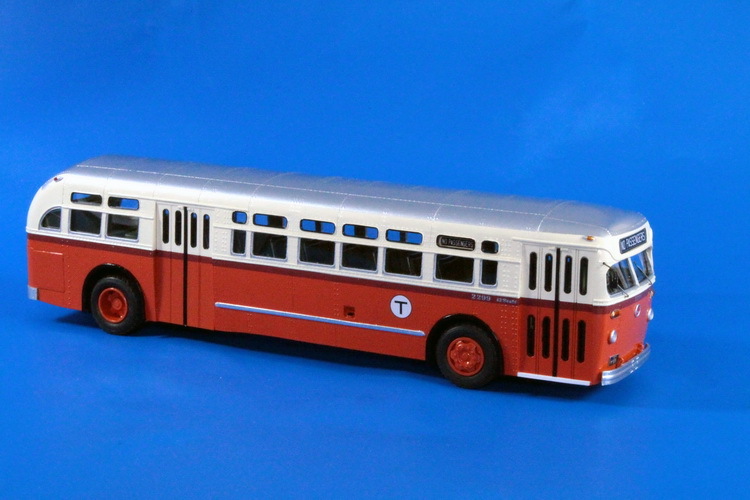 1956 Mack C-49 DT (Metropolitan Bay Transit Authority 2250-2299 series) - "T" livery. 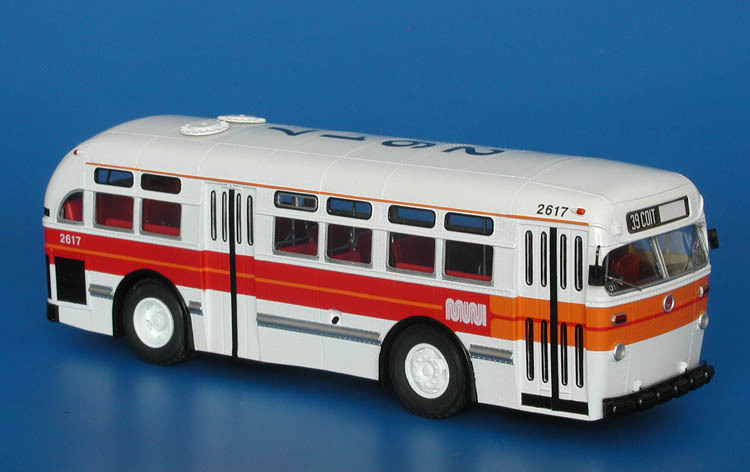 1960 Mack C-49 DT (San Francisco Municipal Railway cutdown 2359 & 2617 buses) - "Landor" livery. 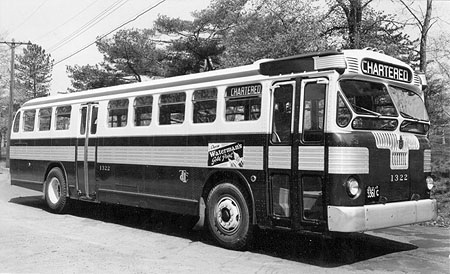 1950 Twin Coach 44-S (Toronto Transportation Commission 1320-1329 series) - "as delivered" livery (white roof).